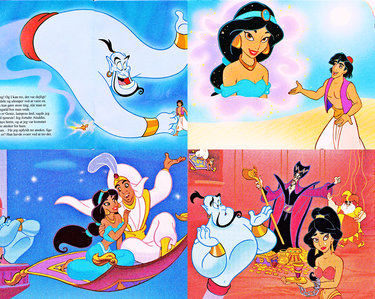 In 1993, the Walt Disney Company published this wonderful book about The Genie's tale of what happend in Aladdin. I had this book since I was a little boy, so it's with a great pleasure that I can show you this great treasure. Even though the text is in danish, there are still some really great images!